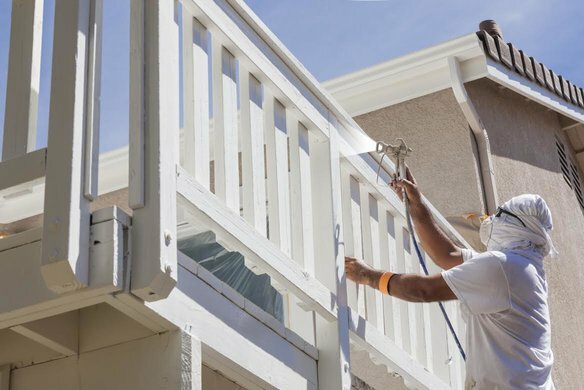 Your exterior paint isn’t just an expression of your own personal style and aesthetics, it’s also your Olney home’s first line of protection against the elements. With the wear and tear that comes with damp and cold winter weather, choosing a quality exterior paint or stain to protect your home is essential. When you shop at Columbia Paint, you get top-of-the-line, quality Benjamin Moore exterior paint that, when applied properly, can protect your Olney home and make it look beautiful all at the same time! When you shop at Columbia Paint, you get top-of-the-line, quality Benjamin Moore exterior paint that, when applied properly, can protect your Olney home and make it look beautiful all at the same time! What’s the Best Exterior Paint Choice for My Home? Durable and has a quality overall performance. What Are My Exterior Paint Color Options? Choosing an exterior paint color is always a big challenge! However, the general rule of thumb is that your home’s exterior is not the place to go color-crazy! A nice neutral tone that coordinates with your natural elements usually works out the best. Start out by determining the color of your roof, driveway, and chimney. These are existing elements you’ll need to color-coordinate your exterior paint with. Also take a look at your trees, gardens, and other landscaping elements. You want your exterior paint color to complement your existing colors, not clash with them! The colors of the other homes in the neighborhood also play a factor. You don’t have to imitate their colors exactly, but put your own unique spin on similar color combinations instead. Try out Benjamin Moore’s Personal Color Viewer and paint your home online before you make a purchase! Do you need some great Benjamin Moore paint to get started on your exterior painting projects in Olney? Columbia Paint Company is your one-stop shop for all of your home-decorating needs in Howard County. From fabulous Hunter Douglass window treatments to beautiful Benjamin Moore paint products, we have everything you need to make your dream home design a reality. Schedule an appointment with our design consultant today!